Remove buildup safely and effectively with an ADA approved Waterpik and Water Flosser. Dr. Piontkowski highly recommends this product for all of our patients including general hygiene patients, patients with oral appliances or brackets, and patients with periodontal issues or sensitivity. Proper oral hygiene is about more than fresh breath; The waterpik is one of the best ways to help maintain good overall health by removing food debris caught between teeth and under the gum areas. The modified brush heads that attach to the waterpik help to remove plaque in hard to reach areas quickly and efficiently. Dr. Piontkowski recommends utilizing these products as a part of your daily oral hygiene regimen: start by using your waterpik, followed by brushing and flossing, and ending with the waterpik. This will ensure a thorough home cleaning to keep your teeth and gums healthy and happy. Waterpik offers a variety of heads in different styles and sizes for all of its models. Do you have a favorite Waterpik product? Tell us about it! If you find yourself struggling with the feeling of always being tired and your jaw is aching all the time as well, you need to get to the source of your problems. You could be suffering from a TMJ disorder. When your jaw is misaligned it can affect the quality of your sleep. How? While you sleep, your muscles relax. With your jaw in the incorrect position, as your jaw muscles relax, they can fall back and block your airway contributing to snoring or a condition known as sleep apnea. Sleep apnea causes brief episodes where you stop breathing as your airways become blocked by throat tissue. When these episodes occur, your brain briefly awakens you so that you resume breathing. 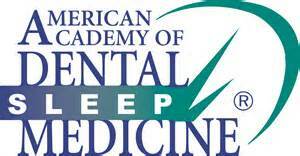 In many cases people who suffer from sleep apnea are unaware of these awakenings because they are so short. The clues tend to be snoring and a feeling of chronic fatigue. If you want to sleep better, try looking to your TMJ. If you would like to find out if TMJ is behind your fatigue, call our office at (301) 839-0055 or (301) 652-3444 to schedule an appointment today in our National Harbor or Bethesda office.